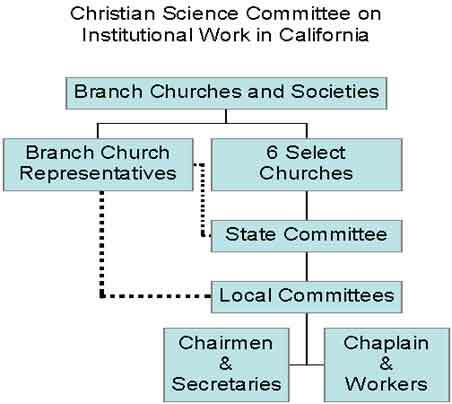 In 1955-56 with the support of The Board of Directors of The Mother Church, the State Committee for Institutional Work in California was organized. Due to the federal and state governments’ involvement, our work had been previously done by the Committees on Publication in California, as well as, by The Mother Church. The Committees on Publication were overwhelmed with the amount of work and information they had to process and gratefully reassigned the work to this committee. Since then the State Committee has worked to oversee and help fund the local committees. It advises local committees regarding changes in the law. Each year it offers workshops to inform and train chaplains and branch church committee members. The State Committee maintains Procedures which provides guidelines for every function of the local committee and provides a “Liaison” to coordinate between the local committees and the State Committee.